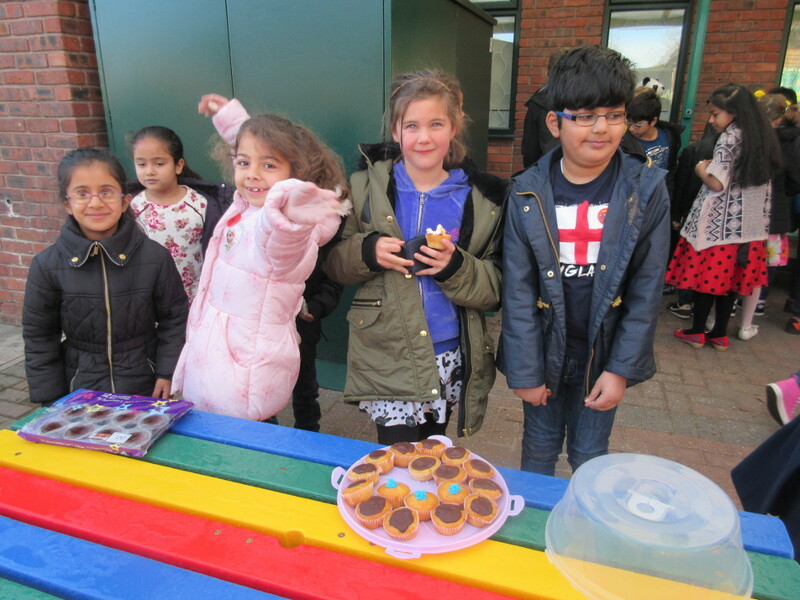 The Children selling cakes for Children in Need. The school has raised lots of money for Children in Need 2016. The children wore a variety of outfits to raise money including their own clothes, spotty and Pudsey clothes. They also baked and sold cakes, bought toys, had a name the bear competition…and lots more!! We raised A MASSIVE £1,099.71 to help children less fortunate than us. Some of this money is also donated to our ‘Home Charity’-The Children’s Foundation. This helps poorly children at the Sunderland Hospital.